Almost 19 million people watch Sunday Night Football each week. It’s a great way to spend time with your friends and family and to get super pumped about your team. Game day snacks are the things that aren’t so great. If you are eating wings, pizza and vegetables drenched in ranch dressing while drinking beer and soda every single Sunday, your figure and health are going to suffer. I’ve put together some healthy alternatives that are so delicious and your guests won’t even know the difference. Don’t want to give up Sunday night pizza? No problem! Put down the phone and make your own healthier game day version. The recipes below are vegan and vegetarian, but feel free to add organic sausage or meat to your own pizzas. Four Scandinavian bran crisp fiber crackers contain only 80 calories, which is way less than the approximately 100 calories present in just one slice of pizza crust. They also contain a whopping 16g of belly filling fiber! 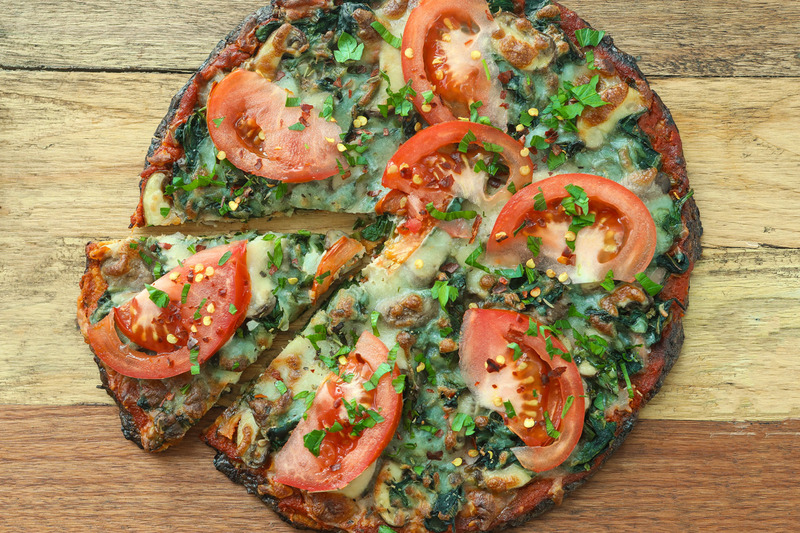 Cauliflower crust pizza is a great alternative to regular pizza crust. It is higher in fiber and lower in calories and carbs. One regular slice of cheese pizza can be around 500 calories and 35 grams of carbs. 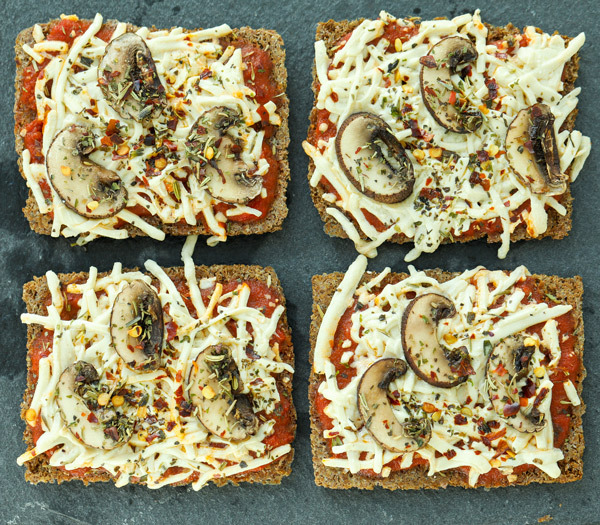 One large slice of cauliflower crust pizza is 120 calories and only 6g carbs! This is a definite crowd pleaser. 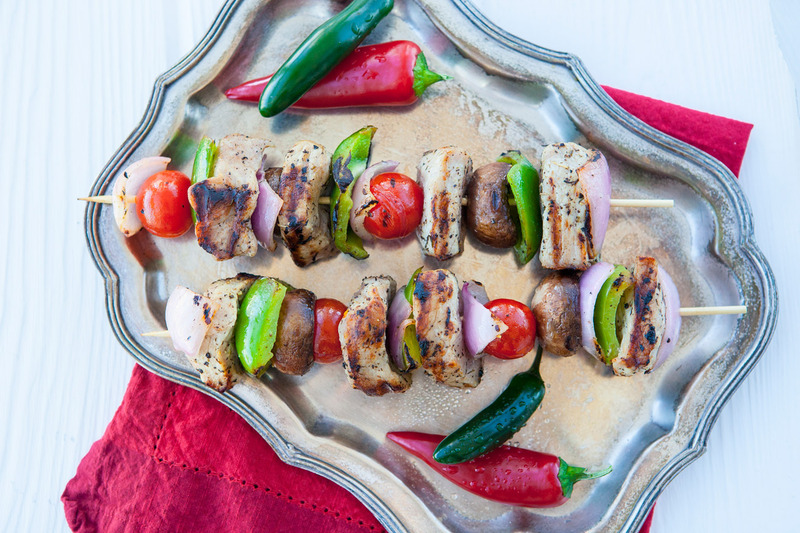 These skewers can be made with chicken, beef or even lamb and make the perfect game day snack. 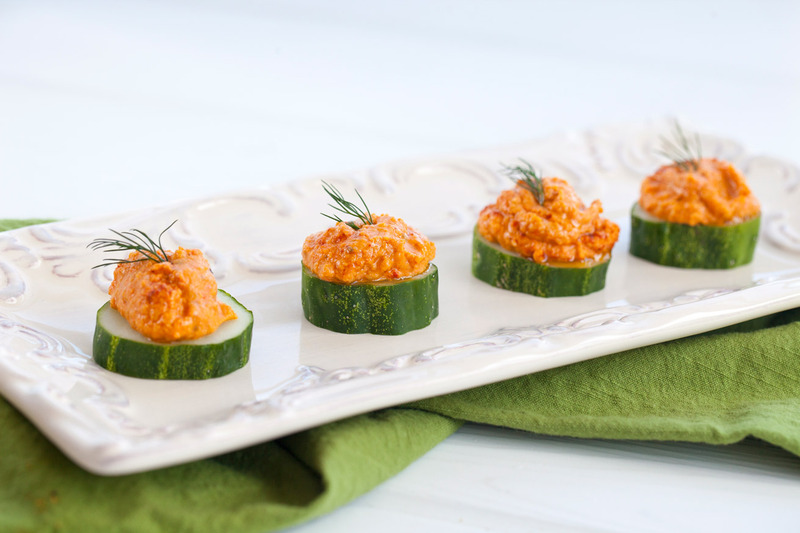 These tasty and stress-free hummus party bites are ideal to serve while you are entertaining so you can spend more time enjoying your guests. I use cucumbers instead of crackers to keep the carbs and calories down. 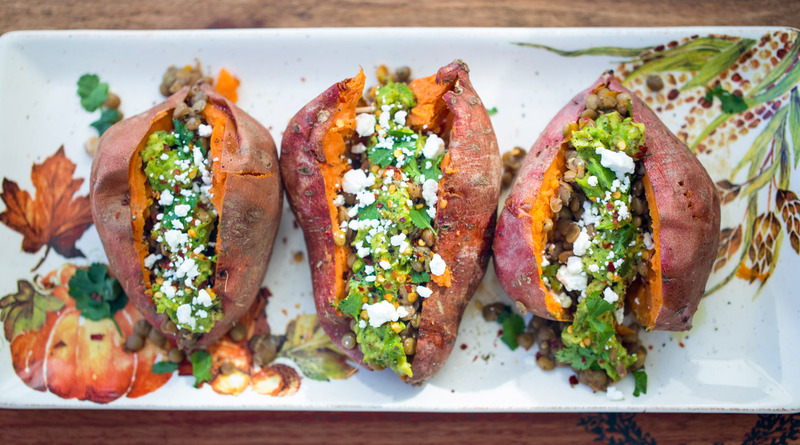 The healthier baked spud! Sweet potatoes are very nutritious being that they are high in vitamin A, B6, C and a great source of potassium, fiber, manganese, and copper. All of the toppings are nutritious too! 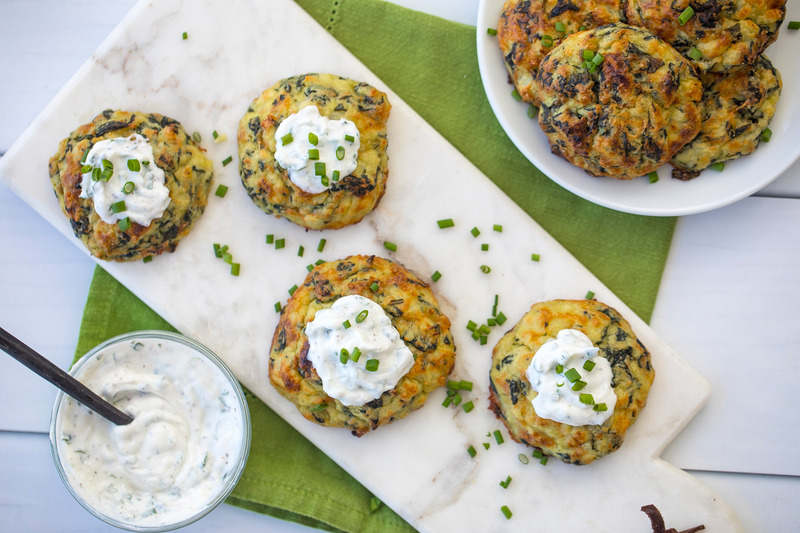 These baked fritters are so yummy, you won’t even realize they’re not fried! 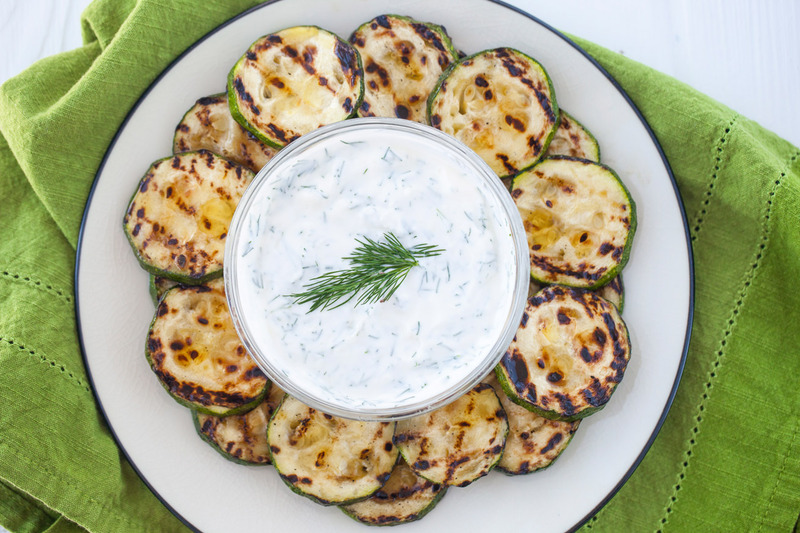 These grilled zucchini bites are so much more delicious than your average veggie and ranch tray. Plus, the homemade garlic yogurt sauce is way healthier as packaged dressings tend to contain a lot of unnecessary / potentially harmful ingredients. This is my go-to cocktail. The typical Sunday Night Football beverage, beer, has about 200 calories per bottle / can. Vodka, on the other hand, only has about 80 calories per 2oz serving and it has zero carbs! 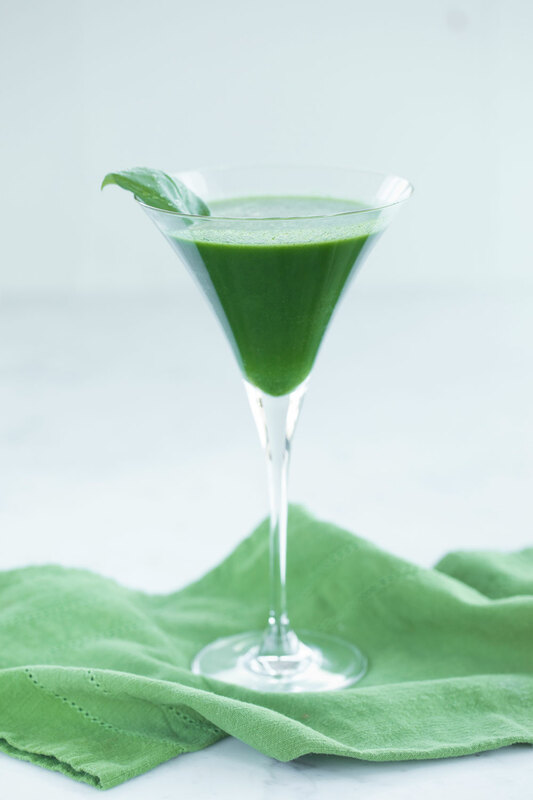 Alcohol is a huge source of hidden calories, I almost guarantee you’ll notice a difference in your figure if you regularly switch to a lower calorie option. Hi Nedi! I recently did your cucumber bites with everything bagel spice on top! What do you think for a game day dessert?